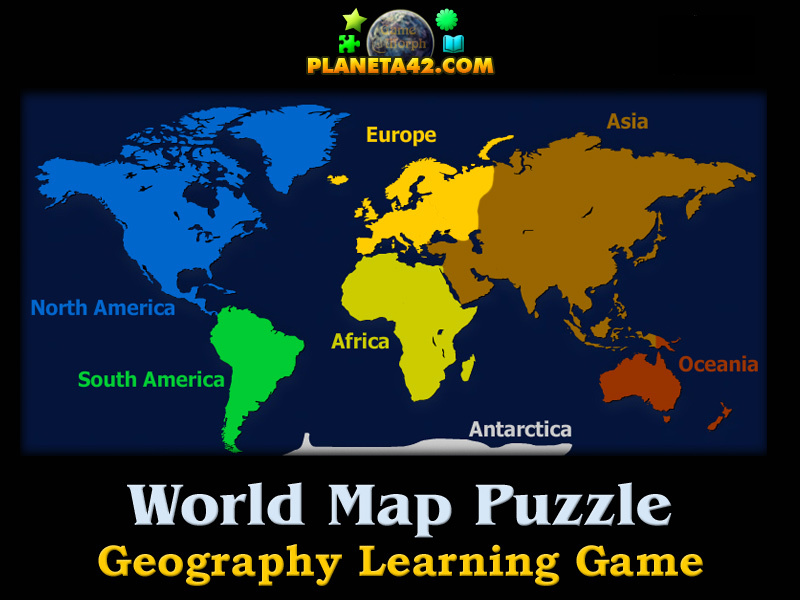 15 parts of the world continents in a fun online geography learning game. 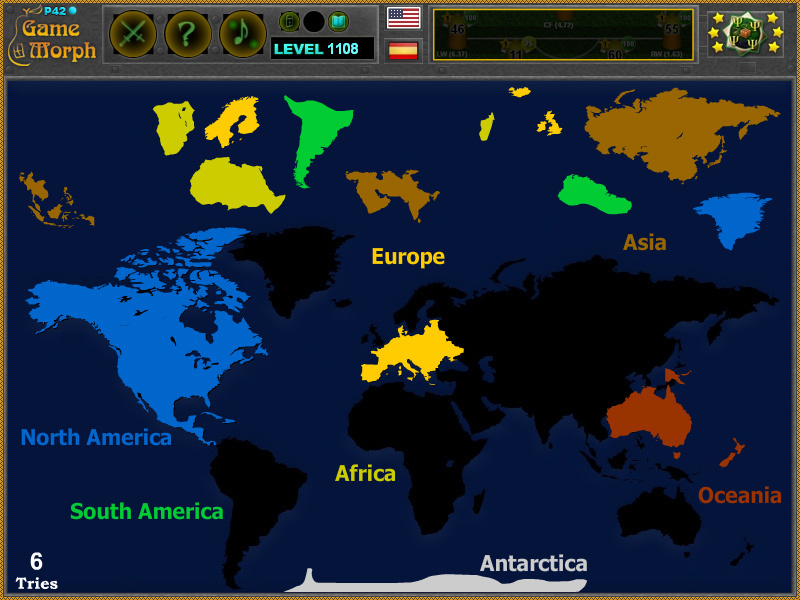 "World Map Puzzle" is a small knowledge level game, to sort the continent parts on the world map. Interactive continents map. Free online game to study the 7 continents of the world. Fun educational geography game, suitable for online lessons and interactive classes. Minute to win it game. Simple world map. How to play World Map Puzzle. There is the continent map of the world in the dark. And there are 15 pieces of the 7 continents. Drag and drop the continent pieces on the darkened map. Some continents are split on 3 pieces and some are just one piece. Happy gaming. Know at least 3 continents and get +1 Knowledge Level. There are 7 distinct continents currently on planet Earth. Some times North and South America are combined in the continent of America. And sometimes Asia and Europe are combined in the continent of Eurasia. Oceania is a geopolitical region consist of most of the islands in the Pacific Ocean and grouped together with the continent of Australia. A continent is one of several very large landmasses of the world. Generally identified by convention rather than any strict criteria, up to seven regions are commonly regarded as continents. Where is Asia continent situated on the world map? Where is North America continent situated on the world map? Where is South America continent situated on the world map? Where is Africa continent situated on the world map? Where is Europe continent situated on the world map? Where is Australia continent situated on the world map? Where is Antarctica continent situated on the world map? Labels: Puzzles , World Maps , Learning Games , Geography Games , Education Games , Free Online Games.